Last year, People Reaching Out to Provide Education and Leadership (PROPEL), a nonprofit that provides educational and leadership opportunities for disadvantaged youth, paired The Learning Experience’s Chairman and CEO, Richard Weissman with a 17-year-old you man who immigrated from Haiti with dreams of becoming a business owner. Weissman took high school senior Garsendy St. Fleur under his wing, giving this young man his time, cultural guidance, life-long lessons, and an apprenticeship at the company’s World Headquarters. After last year’s transformative experience, The Learning Experience expanded its involvement with PROPEL by piloting a new Mentorship and Internship program this year. This program pairs members of our leadership team with a protégé of their own for a summer internship and a longer mentorship program. The Propelians officially started their internships at The Learning Experience’s World Headquarters this month, and have already impressed much of the staff with their drive, intellect, and eagerness to learn. This mentorship and internship partnership with PROPEL provides our organization the opportunity to foster skills development for both mentors and protégés while demonstrating our organization’s mission to make a positive difference in the life of a child, their families, and the communities we serve, all while adhering consistently to our core values of having an innovative mindset, collaborative spirit, and making an impact on the local community. Each mentor will be creating empowering learning experiences for their protégé that inspire professional, personal, and leadership growth. This program will wrap up in December with a graduation ceremony celebrating the growth of each protégé. 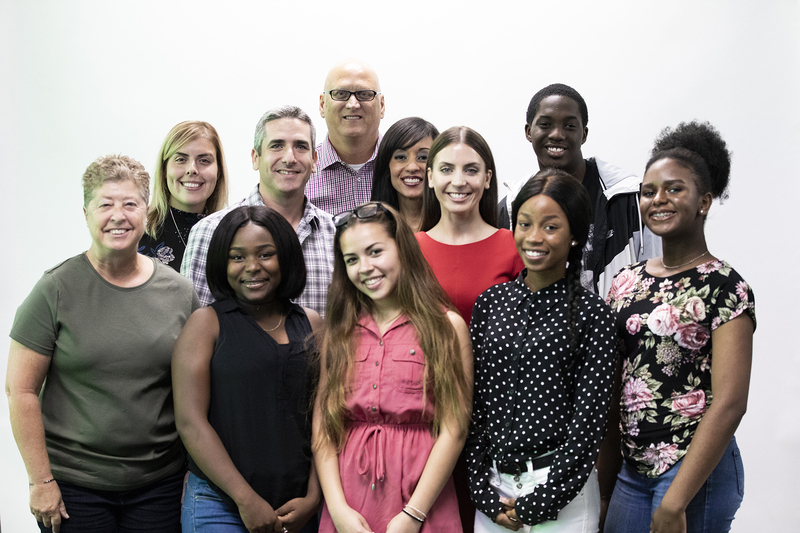 People Reaching Out to Provide Education and Leadership (PROPEL) was founded in 2004 by a small group of Boca Raton business professionals and community leaders who were eager to support the educational achievement and leadership development of the area’s less fortunate youth. To learn more about PROPEL and the communities it serves, please visit the organization’s website at https://www.propelyourfuture.org/.